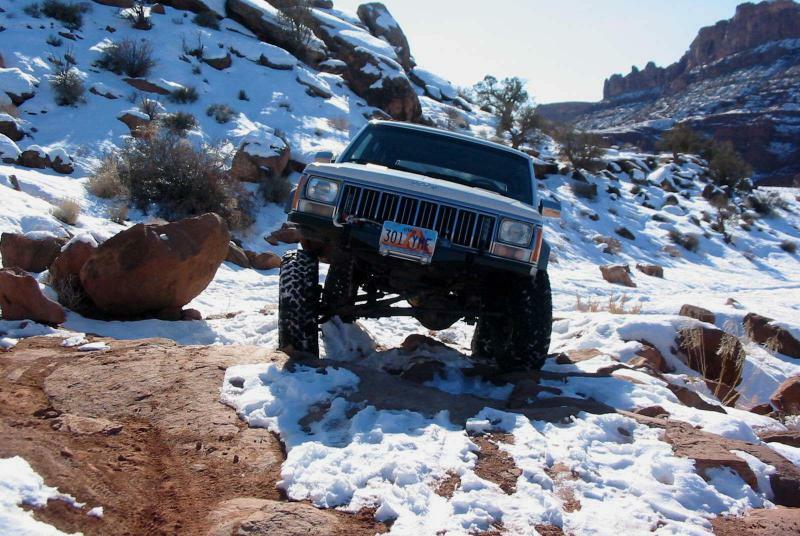 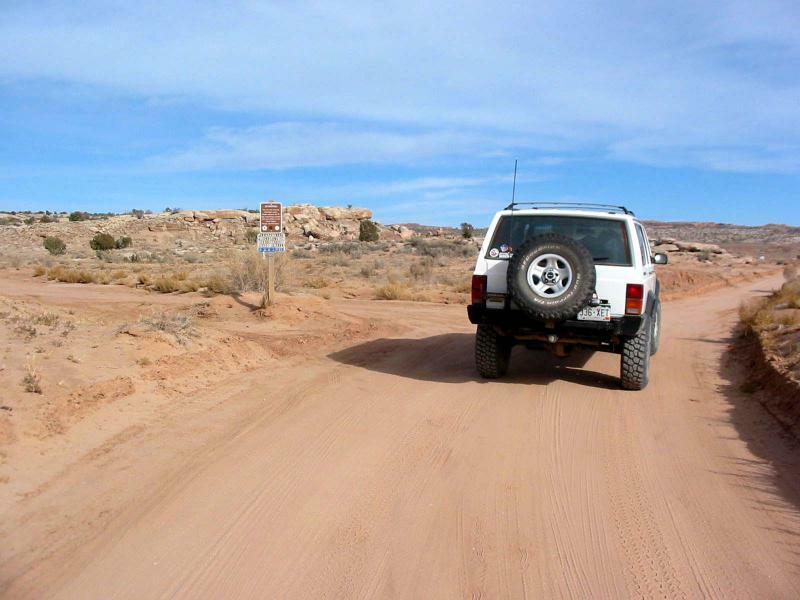 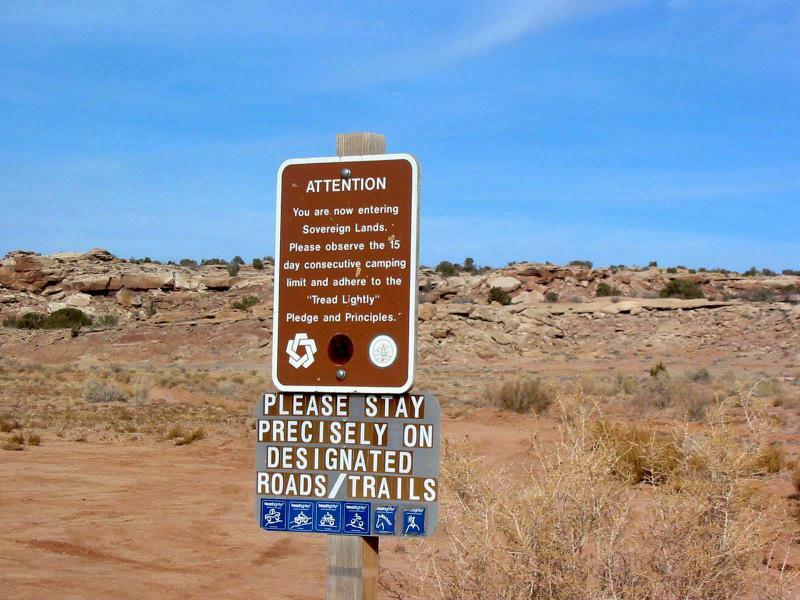 This trail is a combination of several roads north of Moab and near the western boundary of Arches National Park. 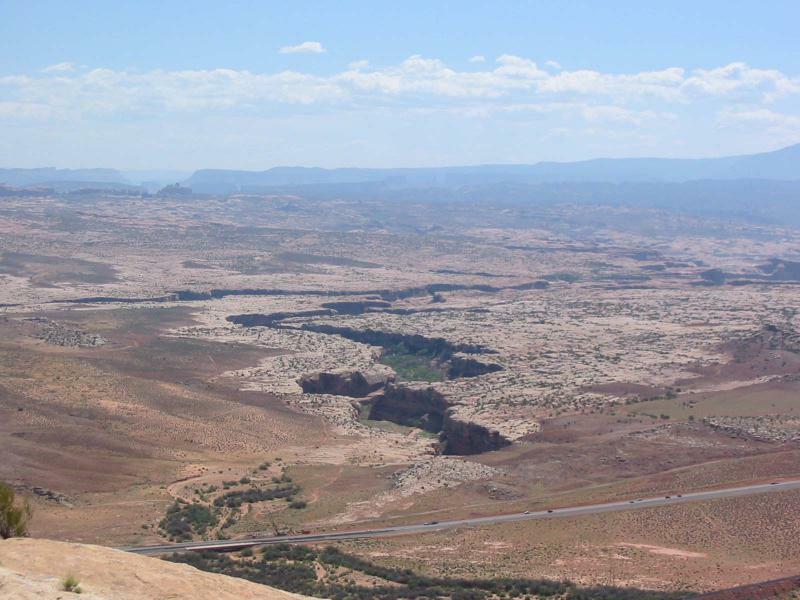 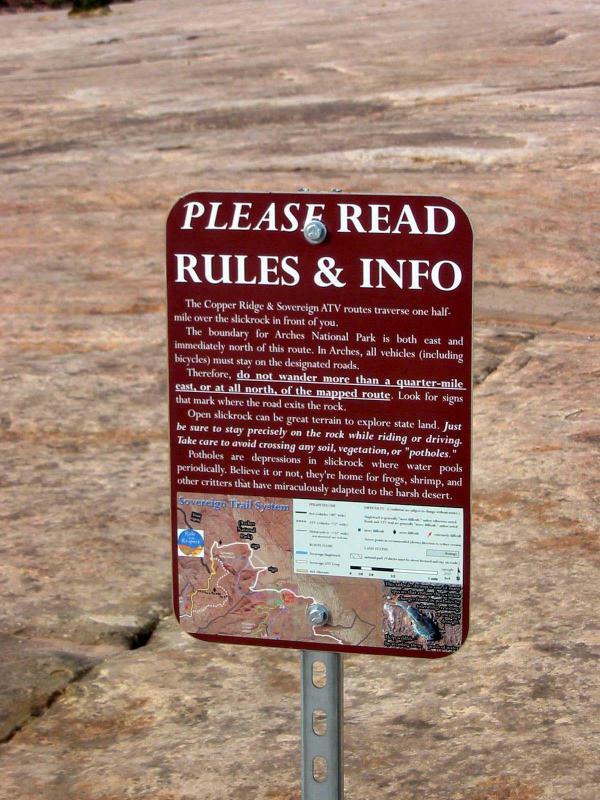 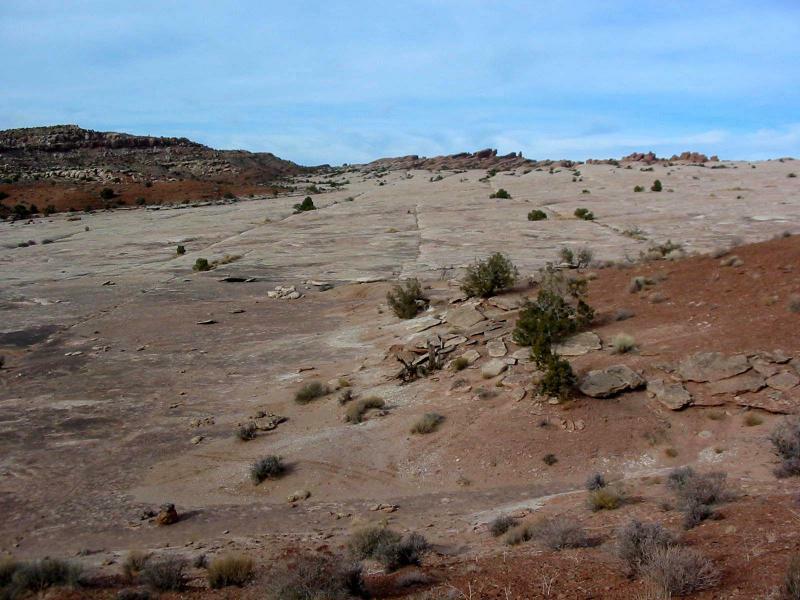 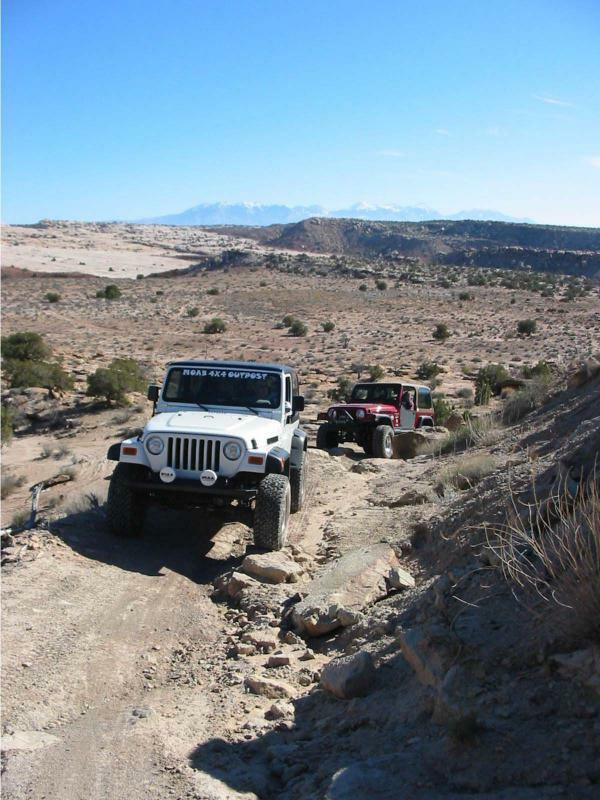 It lies east of the Moab Fault, so is in younger rock formations than many of our trails. 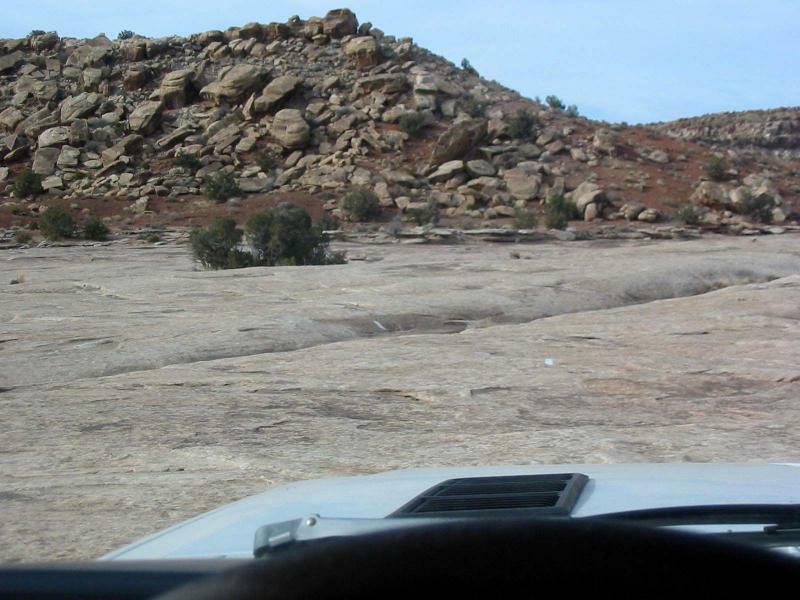 Its slickrock is the top of the Entrada Formation, and its views are often of erosions into that formation. 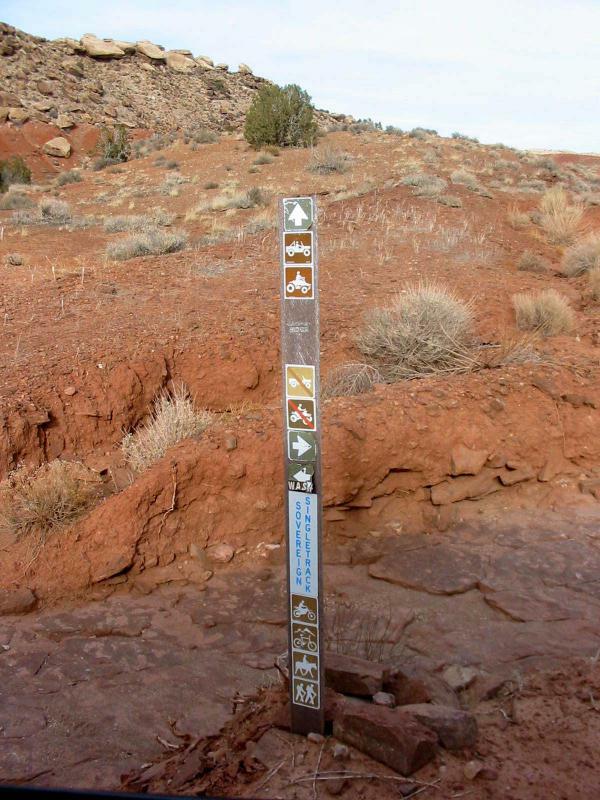 Prominent scenic exposures are in an area called Klondike Bluffs; you may have seen a preview on your way here from Highway 191. 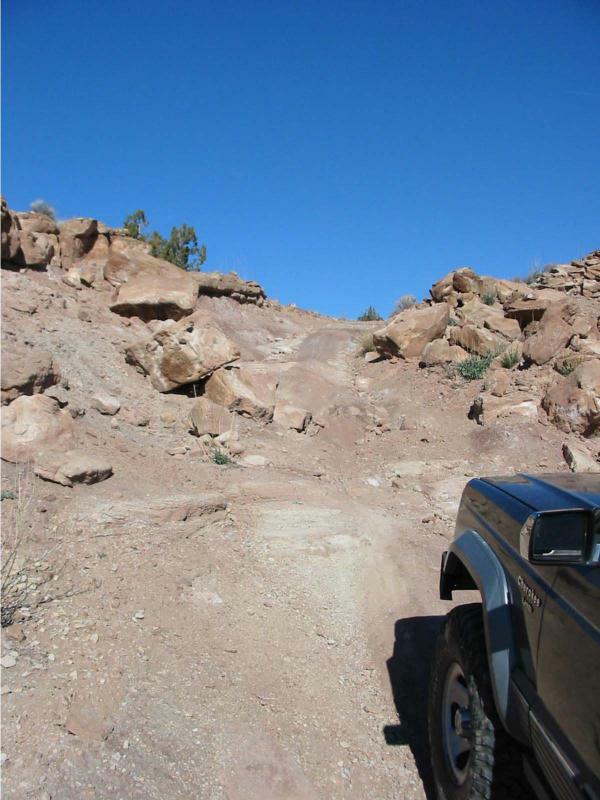 Some of the roads are on the softer Morrison Formation, which can be impassably slippery when wet. 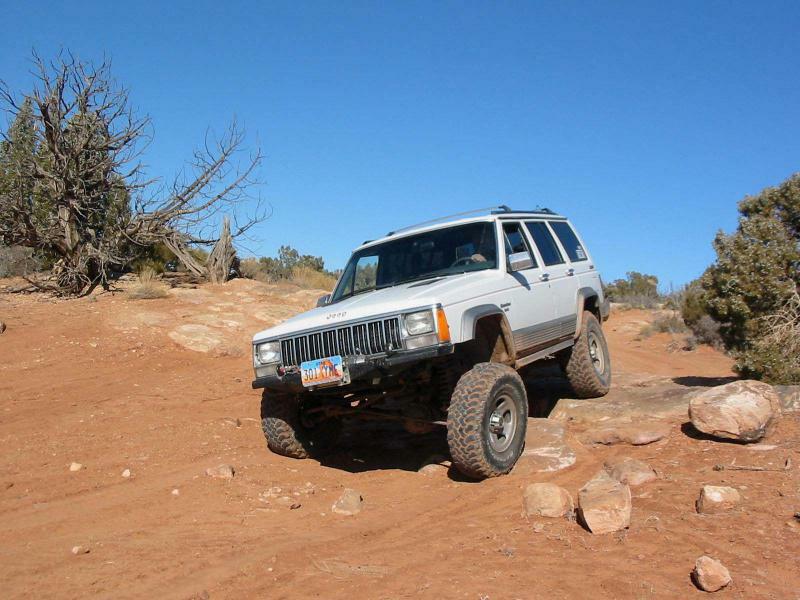 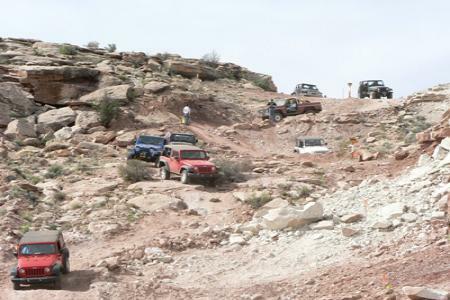 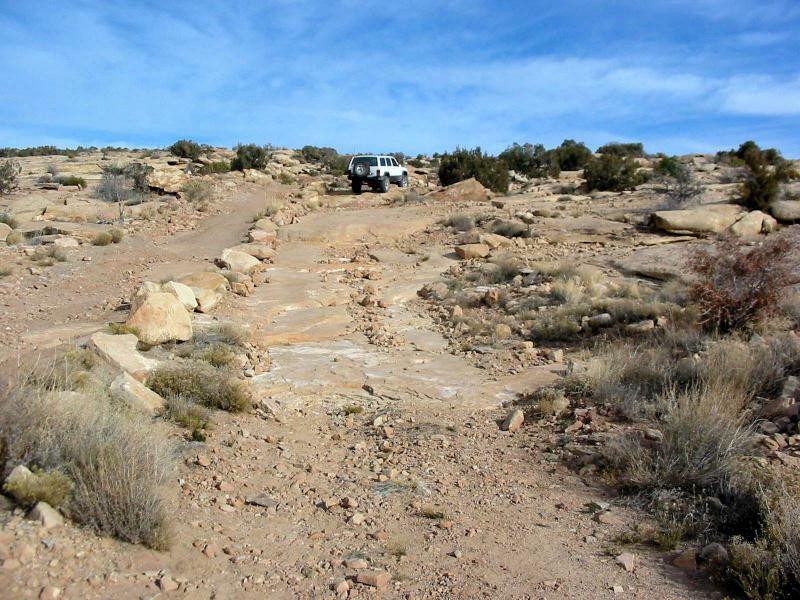 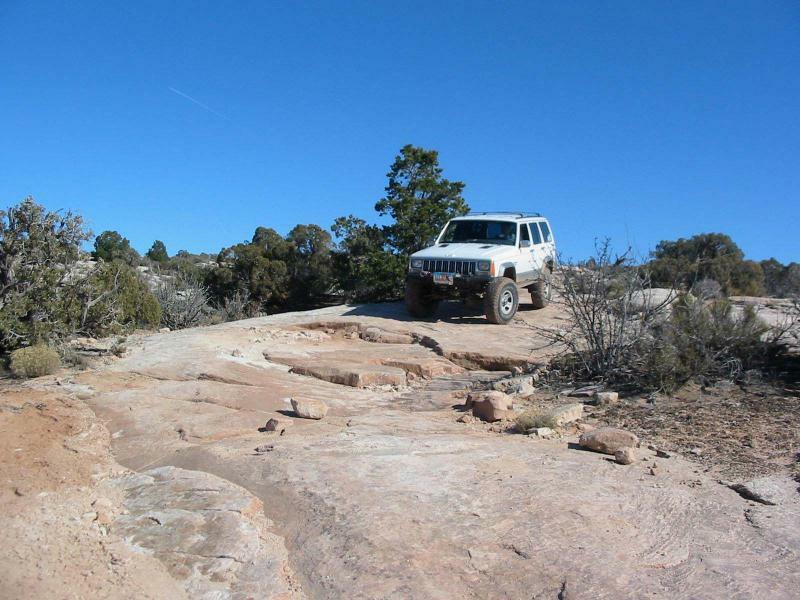 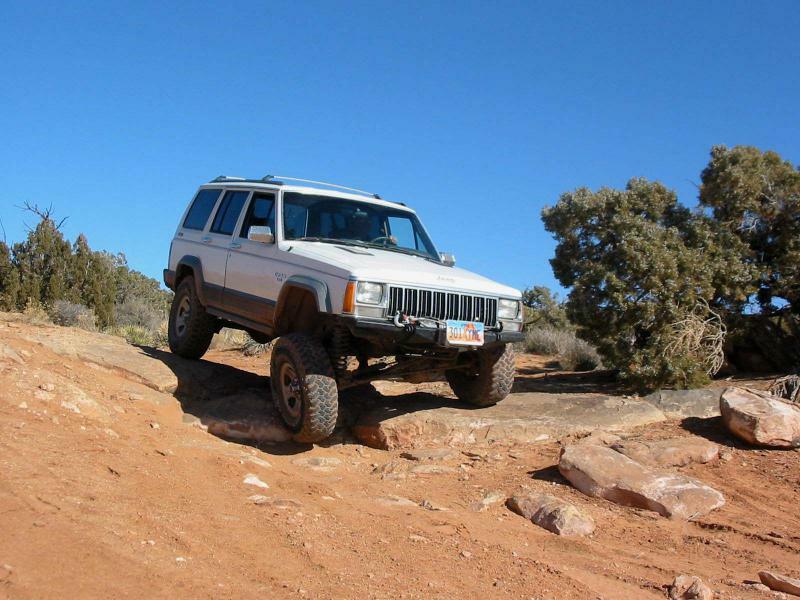 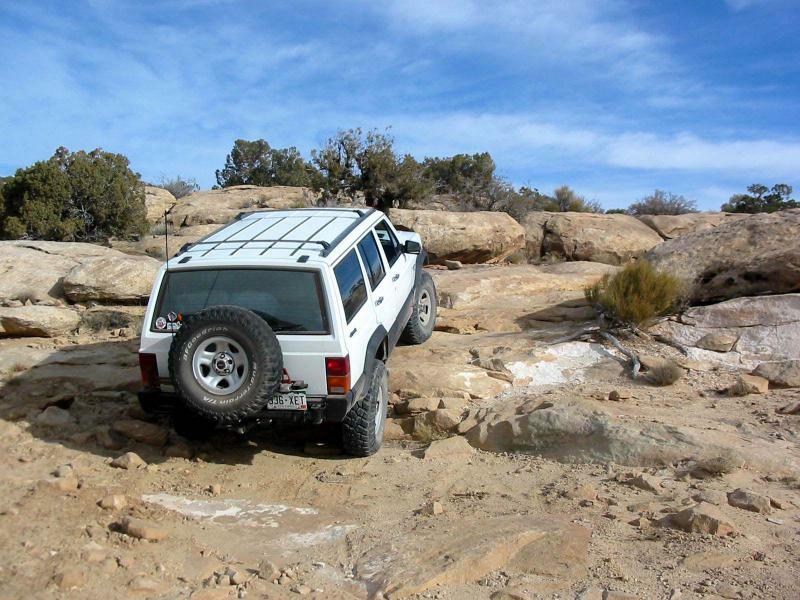 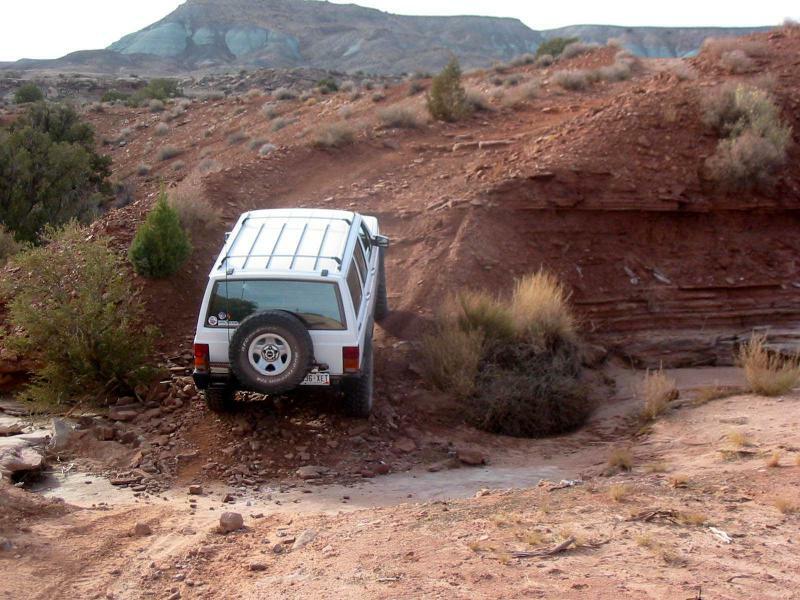 There are eroded trail portions that can challenge nearly stock vehicles. 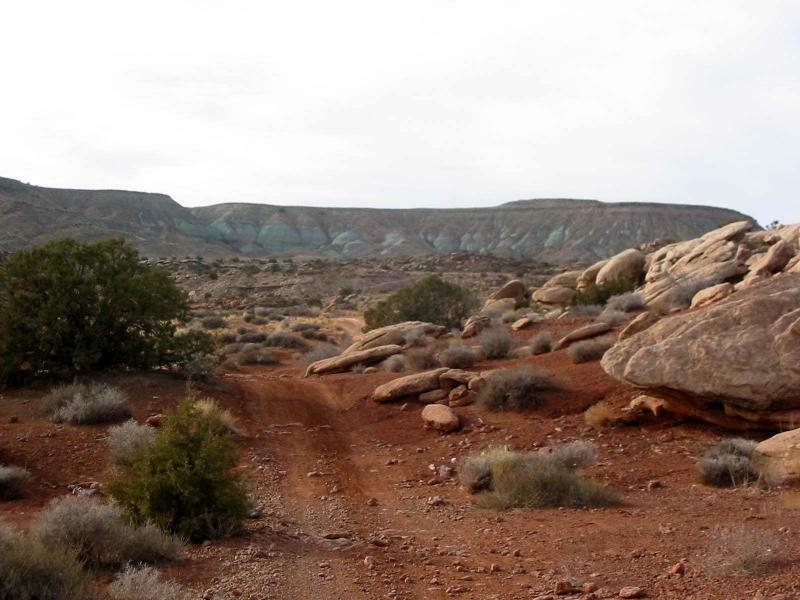 The trail goes to an unexpected and beautiful pour off into lower Sevenmile Canyon. 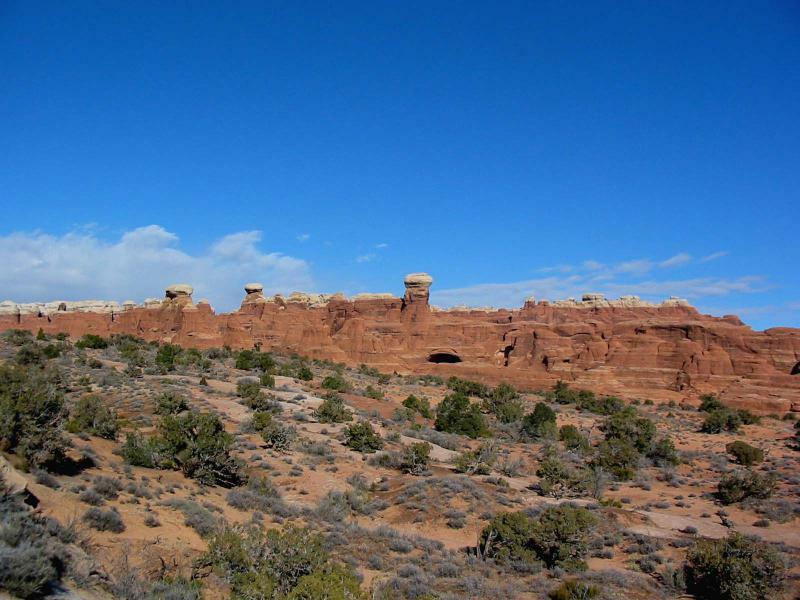 The Klondike Bluffs exposure of white-capped red rock towers and canyon walls are at a moderate distance. 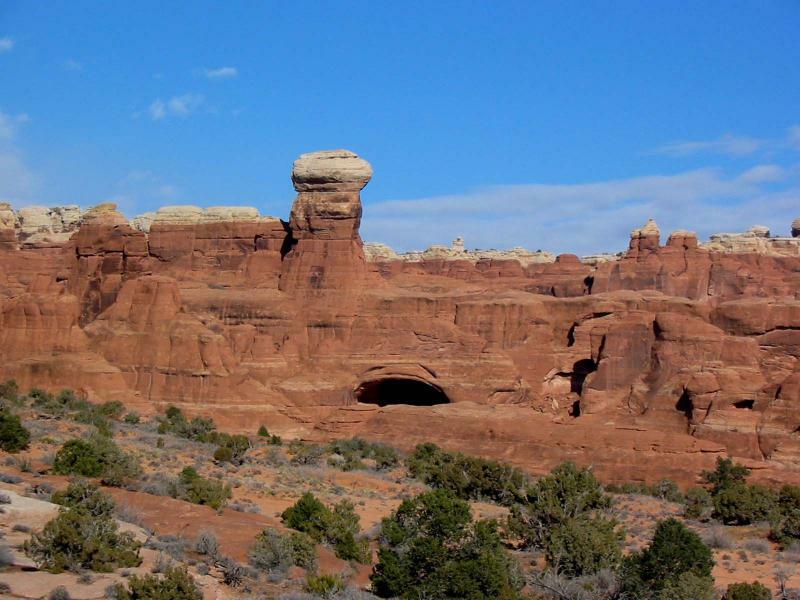 There is a good view of Tower Arch, and some other arches are seen at a distance.